The new entry-level cabinets from Corsair are aimed hobbyist PC builders and system integrators. Corsair claims to bring noise-less computing for the first time in the industry. 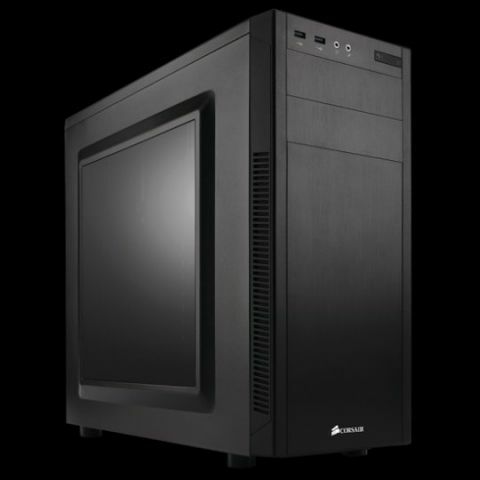 Corsair has launched entry level Carbide 100R and 100R Silent cases in India. The Corsair Carbide 100R Standard is priced at Rs.3999 while the Carbide 100R Silent is available for Rs.4499. These cases are exclusively available with Neoteric across 500 cities in India. M A Mannan, Country Manager, Corsair Memory India says, "The era of silent PC was talked very highly during the CES event and the prospect of it being a trend is a win-win situation for PC lovers in India. After the grand success of Corsair's silent cabinets in CES 2015, Carbide series100R and 100R Silent are now in stores. The Indian market demands a fair balance of value and these cabinets are the best fit for the desi consumer."